You know building awareness for your business is important. But how do you stand out and actually get the attention you need to reach new customers and generate new opportunities? This was the dilemma faced by Davidson & Company, LLP, a full-service accounting firm located in downtown Vancouver. For Davidson & Co, building awareness means having a way to stay top-of-mind with existing clients, and being able to reach potential clients in the process. For the last two years, the firm’s best tool for reaching these audiences been email marketing from Constant Contact. Growing an email list can take some time, but as Bahar has discovered, it’s better to collect email addresses the right way, rather than trying to take shortcuts. 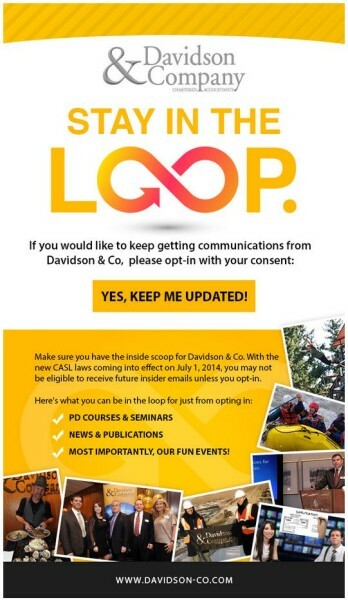 Getting permission has proven to be particularly important for Davidson & Co, following the Canadian Anti-Spam Legislation (CASL), which went into effect on July 1, 2014. The legislation introduced new requirements for businesses to obtain consent before sending marketing messages. Asking permission will get people onto your list, but once they’ve signed up it’s your responsibility to provide something of value. With an average open rate higher than 50 percent, Bahar has found that one of the best ways to provide that value is to start with her audience and understand what they’re most interested in receiving. The firm recently used audience feedback to tweak their strategy and make video a central part of their marketing strategy. The firm has also sent an online survey to a segment of their client base to learn more about what they’re interested in receiving. You’ll get more people opening your emails when you shift your focus to providing content that’s interesting to your subscribers — which is a great first step towards email marketing success. The next step is to understand what type of content would get people to take an additional action. For Davidson & Co, that means sharing helpful advice and offering the chance to learn more at in-person events. Consistency is important — both in the look and feel of your messages, and in the frequency that you communicate with your audience. 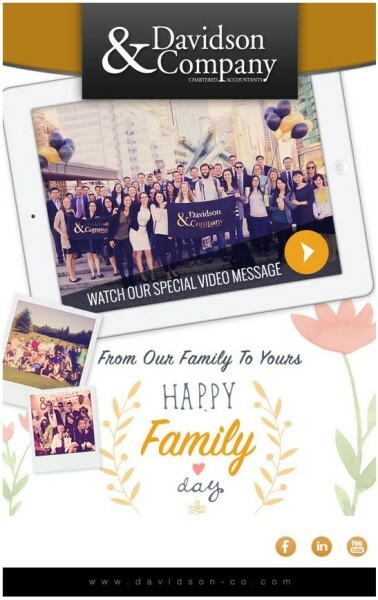 Email templates make it easy to create professional-looking messages that can be customized to match your brand. They use that same consistency when deciding what time and how often to send to their audience. Each month, Bahar and her staff put together an outreach plan that aligns with industry activities and events. With a list of over 3,300 contacts, Davidson & Co has built an audience of people who care about their business and look forward to hearing from them each month. This has resulted in new business opportunities, increased referrals, and greater brand awareness for their firm. Put your email marketing strategy into action. Whether you offer services to other businesses, like Davidson & Co, or want a better way to build relationships with customers, email marketing can help. Has email marketing helped your business build brand awareness? We’d love to hear from you. Share your story in the comments below.